Most businesses like telling you what to do. Buy this product, sign up for this cell phone plan, eat this yogurt. I personally don’t trust a lot of the content that businesses put out there. It just doesn’t seem authentic. I do trust user generated content, though, and I’m not alone. In fact, 86% of millennials state that user-generated content is a great way to determine the quality of a brand or service. Millennials aren’t the only ones soaking up user generated content. Everyone from teens to the elderly view user-generated content as authentic. If you use it correctly, you can benefit a lot from this form of marketing. Check out some great options for promoting user generated content. Then, dive in and start enjoying the benefits. 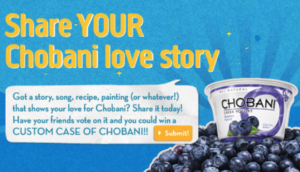 Chobani found a way to reach tons of people by combining user-generated content with a contest. The brand asked people to submit reasons they love the yogurt. Their friends could vote on their content and the winner received some free yogurt. This worked well for a number of reasons. First, 59% of consumers are willing to share with a brand in exchange for a reward. That led to lots of submissions for Chobani. Then, the campaign spread, thanks to all of the votes. The more it spread, the more submissions it received. In the end, the company saw a 225.9 increase in yogurt sales. You can do this with your own campaign. Use an email marketing tool to get the word out and then offer some type of reward. It’s hard to make them seem authentic. 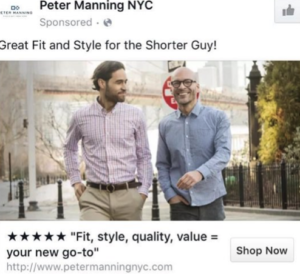 When you run a Facebook ad, you are trying to pull people away from their friends to look at an advertisement. If that ad doesn’t look authentic, you are going to have a hard time accomplishing this. That’s why I love what Peter Manning NYC did. The retailer added a customer review to its ad. That made it seem more authentic and highly clickable. Email is a great way to get some customer reviews. Send emails out to people when they buy your products or services. Point them toward your customer review page and then pick the best one. Use it for a Facebook ad. 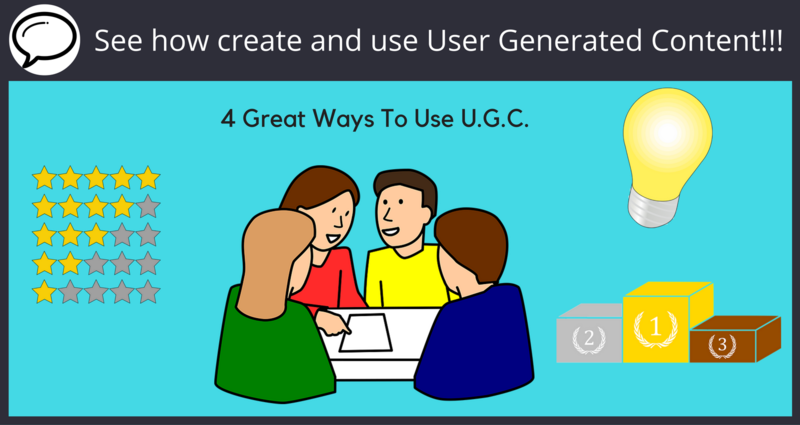 Soliciting user-created products is another powerful way to get user-generated content. That’s why I love the Lay’s Do Us a Flavor campaign so much. Lay’s asked users to come up with a new flavor of chips. People submitted flavor ideas and then shared them on Facebook. 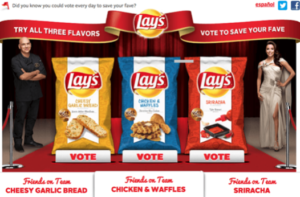 Then, Lay’s announced three finalists and fans from all over the world got to vote. This campaign worked for several reasons. First, it took a somewhat stale brand that has been around forever and made people look at it in a different way. Hello, Cheesy Garlic Bread Lay’s. Second, it made people feel as if they had a say in brand decisions. It is easy to feel as if the big brands don’t care about you, but Lay’s showed customers that they are important. Third, it included people’s favorite activity… voting. The end result was a hit campaign that Lay’s has been using since 2012. User generated content isn’t just a great way to market a product or brand. You can also follow T-Mobile’s lead and use it to learn more about your customers. T-Mobile invited people to write break-up letters to their current cell phone providers. They submitted the break-up letters to T-Mobile, and then the provider turned around and posted them on its social media page. T-Mobile sweetened the deal by offering to pay people’s early termination fees. At first glance, this looks like an excellent way to poach some customers from AT&T and others, but that is only half of it. The company was able to analyze these breakup letters and find out why people don’t like their current providers. They can take the information and provide a better service. If you aren’t utilizing user generated content, you are missing out on a huge opportunity, so start thinking about ways that you can use it to encourage audience engagement today. And be sure to sign up for a free trial of Sendlane so you can put the campaign into action.